Biaggi Luggage (931116) Lift Off Under-Seater to Carry-on is offered in three colors of charcoal, gray and purple with small price differences at the time of this product review. 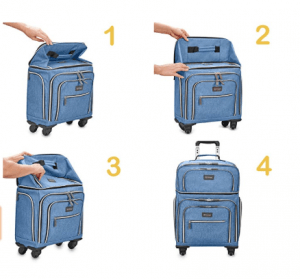 This imported soft-shell suitcase has the polyester lining and is easily expandable from under-seater to carry-on, giving you a fifty percent more space. You just unzip the top section and move the fabric up and your full sized carry-on bag is ready. Biaggi Weekender Carry-on weighs just 5.5 pounds and measures 15 x 14.5 x 7 inches as an under-seater and 22 x 14.5 x 7 inches as an expanded carry-on bag. There is an interior zipper just below the expanded upper section and you can keep your belongings separately in the lower and upper sections. Or you can alternatively unzip it for a proper packing area. Please note that the top part does not come off, but pops up into a larger carry-on bag. And the bag has a solid frame and a proper telescoping handle system. It has an aluminum telescoping handle that locks at two points and that can be used in both the under-seater and carry-on modes. There are four zipped pockets at the front (two at the bottom and two at the top) as well as two zipped side pockets for your water bottles or other items that you wish to access easily during your travel. It is spacious inside and has two mesh zipped pockets for the items you want to separate from the main area and the elastic cross straps to keep your clothes in place and even a padded laptop sleeve for up to 15” computers. There is no strap at the back of the small weekender to place it on the larger carry-on. But there is a strap at the back when it is in the expanded mode for the telescoping handle to slide through. So that the back of the upper section stays safe and stable. You can actually push it in and put the carry-on on a large suitcase if possible. 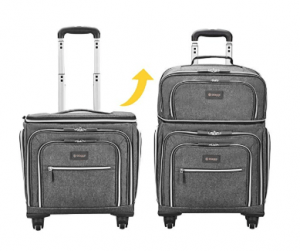 This one is actually promoted as the world’s first and only lift off upwards expanding 4-wheel spinner suitcase. The wheels are the spinner type and they move very smoothly in all directions and are capable of easy maneuverability in small spaces with the help of the solid and ergonomic retractable metal handle. There is another handle at the top for when you want to simply lift it, but none on the sides as it is replaced by the convenient side pockets for water bottle and other items. The Biaggi Weekender Carry-On is easy to pack and is spacious inside- can hold lots for is size/dimensions. It is lightweight and you can lift it easily into the overhead bin above you. It is nice to have a few convenient pockets for your different items or things that you want to have easy access at the airport. The spinner wheels roll very smoothly and quietly. Some people will prefer it mainly for the flexibility it offers- being able to use it as a weekender under-seater to fit under the seat in front of you comfortably. The bag is built quite sturdy and durable and you can certainly check it in without worrying whether it will get crushed. So you’re getting quite a good deal for the money. It has a high-end premium look and feel with a sturdy heather poly-blended fabric. 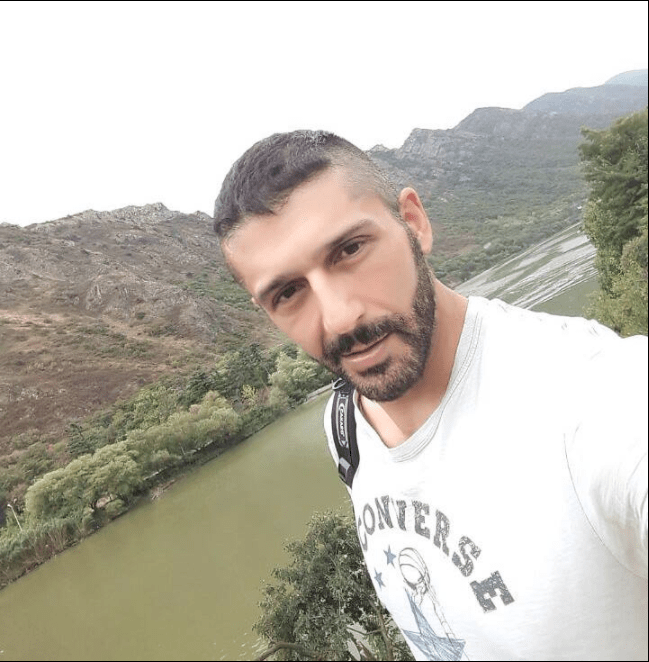 And it is a good quality bag made of decent quality components and materials and is backed by a generous limited warranty of five years by the manufacturer. You can email their customer support on customerservice@biaggi.com for any assistance you may need.